We heard today that Cyril Charles Beazley, (known as Jack), sadly died on 24th October at the age of 82. Jack, who lived in Dagenham, recently had a major operation lasting nine-and-a-half hours. 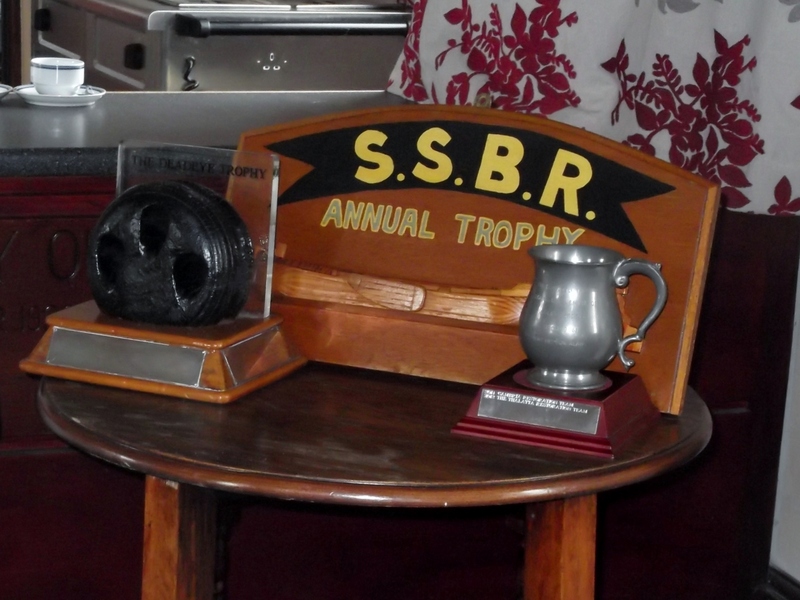 At the May 2011 Annual General Meeting of SSBR Jack Beazley was awarded the Half Model Trophy in recognition of his support to the Society in providing barge photographs and of donating the CC Beazley Collection of Photographs and Negatives to the SSBR Archive. 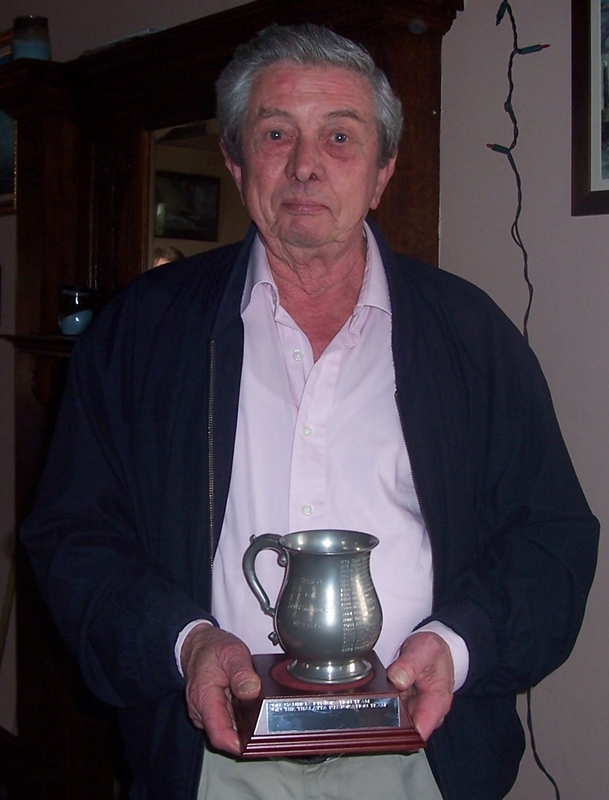 Unfortunately Jack was not able to be at the meeting to receive the Trophy so Richard Walsh accepted it on his behalf. 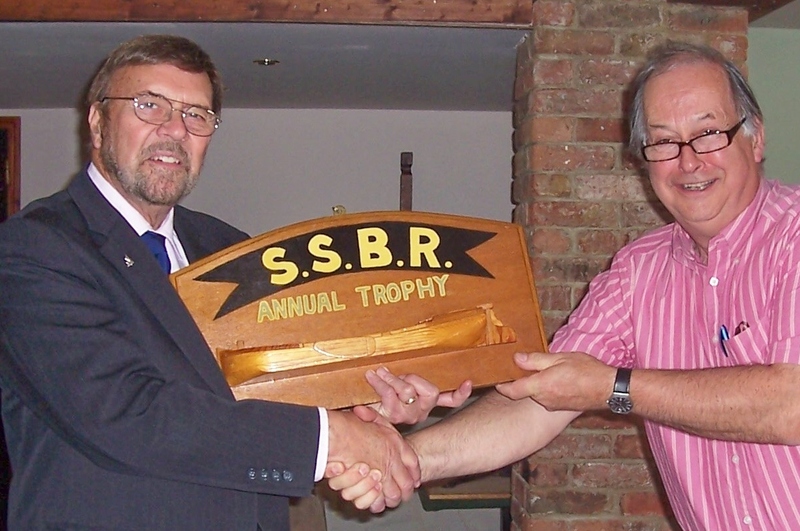 The photograph shows SSBR Chairman Emeritus Tony Farnham presenting the Half Model to Richard. This year, of course, the Half Model needed to come back for its new recipient, so I went to visit Jack at his Dagenham home in June in order to collect it, and sure enough I was given more photos and negatives for the Archive. That day I was on my way to the Queen Elizabeth Hunting Lodge at Chingford for a meeting with the Curator, and had allowed half an hour to be with Jack. In fact, I missed my meeting completely as I spent well over an hour with him. He asked if I would like to see his models and showed me where he works on them. He was currently working on a model of Cutty Sark, and showed me the very fine thread he was using for the rigging, all the plans and tools, and so on. As well as ships, he had made splendid models of railway engines, and over the years had won awards for his model-making. He also had a collection of clocks. He visited boot fairs and bought old clocks, removed and restored the mechanisms, researched the type of wooden case each clock should have, and then made it. Some of them were large striking clocks with a pendulum, and he told me that his neighbours sometimes complained about the noise of the striking in the night! Jack Beazley was a fascinating character and I am so glad I had the chance to meet him.